Tarazod Films & Media LLC: Davis Screening breaks record! OMG! 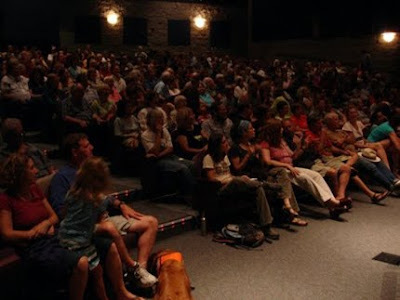 Until now, the largest crowd to have seen our film was an audience of 300 in Milwaukee last spring. 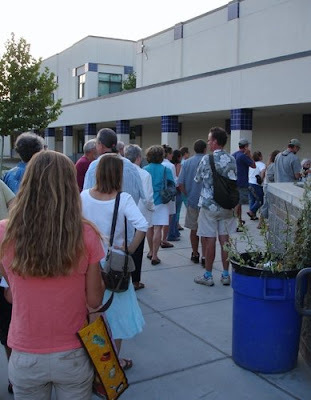 But last night that record was broken when well over 350 people packed the Richard Brunelle Performing Arts Theater to see the Davis premiere! The event was sponsored by the Davis Food Co-op and Slow Food Yolo to benefit Davis Farm to School Connection. A big thank you to Jake & Ed Clemens for making it happen!